Last week, I co-hosted and co-organized the workshop on Citizen Science in Astronomy in Taiwan at my home institute, the Institute of Astronomy and Astrophysics at Academia Sinica. The aim of the workshop was to bring together scientists from astronomy-based citizen science projects, computer scientists, and web developers to spend a week working on the problems and issues that we jointly have in common when processing citizen science data and looking at how to improve these methods in the era of petabyte datasets that is just around the corner with facilities like the Square Kilometer Array (SKA) and the Large Synoptic Survey Telescope (LSST) being built in the coming decades. In addition to Chris Lintott and myself representing Planet Hunters, several members of the Zooniverse development team and people from the science teams of Galaxy Zoo, Space Warps, Moon Zoo, Radio Galaxy Zoo, Planet Four, and the Andromeda Project were participating in this workshop. I had some really productive conversations and input on where to take the current analysis for the Planet Hunters data reduction that I’ve been working on in the past few weeks and months. All and all, it’s been a tiring but fun week. Yesterday I gave a talk at the 223rd American Astronomical Society meeting titled ‘Planet Hunters: Kepler by Eye’ at the National Harbor outside of Washington, DC. The talk gives a brief overview of 3 years of Planet Hunters science. I decided rather than just posting the slides, I’d record one of my practice run throughs of my talk. Below is the recorded video. This was before I gave my talk, so there may been some minor tweaks and changes but the main points and slides are the same. Today is the first day of the American Astronomical Society’s (AAS) 223rd meeting. This 4 day conference is being held at the National Harbor outside of Washington, DC. It is one of the largest yearly gatherings of astronomers and astrophysicists from across the US and around the world. Most of the Planet Hunters science team will be in attendance this year. You can follow along with the attendees (including me) who will be live tweeting the conference with the hashtag #AAS223. Most attendees at AAS will present talks and posters about their current research. Typical talks are about 5 minutes in length with a minute or two for questions. There are also longer plenary talks from invited speakers and the winners from the previous year’s AAS-sponsored awards and prizes. I’ve been invited to give a longer talk in one of the two special sessions being organized at the meeting on Kepler science. I will be one of the first talks of the meeting, giving the first talk in the ‘Exoplanets and Kepler Astrophysics Special Session’ today. I will have 30 minutes (including the time for audience questions) to give an overview of Planet Hunters and the science highlights from the past 3 years. My talk is titled ‘Planet Hunters: Kepler by Eye’. You can read the abstract here. I’m very excited about this opportunity to promote Planet Hunters and show the rest of the field the science we’ve been doing with your help. I’ll try to post my slides on the blog later in the week. Also Joey Schmitt from Yale will be presenting a poster titled ‘Two New Confirmed Planets and the First Kepler Seven Candidate System’ this week at AAS as well. You can read his poster abstract here. The 2nd Kepler Science Conference is 7 weeks away on November 4-8th. From the science team, Ji, Tabetha, and I will be heading to California to attend. The conference will be hosted at NASA Ames where the Science Operations Center for Kepler is based. The first Kepler Science Conference was held there 2 years. You can read more about the workshop from the accounts of Planet Hunters volunteers Kian, Daryll, and Tom who also attended. At the time of the first Kepler Science Conference, Planet Hunters was just a few weeks shy of its first birthday, and it was the 2nd scientific meeting that I had presented any Planet Hunters results at. A lot has changed since then; Kepler has aided in ground-breaking discoveries, and our view of planet formation and the architecture of planetary systems has dramatically changed with the analysis of Kepler data. Also in those past 2 years, much science has come out of Planet Hunters (thanks to your clicks) including PH1 b and PH2 b and many other planet candidates. You can see all the submitted and published Planet Hunters papers here. I’ve submitted a talk abstract to present the Planet Hunters TCE review in November. I know, Tabetha has also submitted a Planet Hunters poster abstract about the “Guest Scientist” program for the conference as well. We’ll know at the end of the month if the abstracts were accepted. At Protostars & Planets VI, I presented a poster on my preliminary work on the TCE review. In between moving to Taipei, Taiwan in August and settling in (I’m now a postdoctoral fellow at the Institute of Astronomy & Astrophysics at Academia Sinica [ASIAA]), I’ve been working on continuing that analysis and starting to interpret the results. I find conferences good motivators to make progress on my research projects. I always want to have something new and different to say from the last time people saw me present. So, this month is all about working on the TCE analysis for me. With your classifications from the TCE review, I’ve been able to make a list of all the transit-shaped TCEs and with some preliminary criteria made a rough planet candidate list that I presented in July. I’ve been now looking more at the additional cuts I had made to go from that transit-shaped list to list of planet candidates. I think at this stage, I’m happy with the reasoning for the specific cuts based on other properties of the TCEs to remove false positives. Now, it’s looking at how to estimate an efficiency and see what things we might be missing in our list. In addition the Kepler team has finished vetting the list of new Kepler Objects of Interest (KOIs) from Q1-Q12 into planet candidates. I am now starting to look at what are the differences between our Planet Hunters-derived list and the current cumulative Kepler planet candidate list. In particular what things did we include that they didn’t (and vice versa) and how that relates to transit depth/size of the planet. Greetings from Heidelberg, Germany. I’m here with most of the Planet Hunters science team for the Protostars and Planets VI conference. Astronomers, planetary scientists, and cosmochemists from across the world have gathered for this week long conference to discuss the state of the fields in star formation, young stars, circumstellar protoplanetary disks, planet formation, and exoplanets. The last conference was in 2005 (before I started graduate school) so there is much to talk about in terms of how what we know about star and planet formation has changed. There are about ~900 people attending the conference. Unlike most conferences, Protostars & Planets has one session per day, with several half-hour talks based on the chapters being written for the conference proceedings. Planet Hunters PI Debra Fischer is giving the summary talk on the discovery of new exoplanet systems. Joey Schmitt, a 2nd year graduate student at Yale, and myself will be presenting posters on Planet Hunters results. Joey is presenting a poster titled “Planet Hunters Update:Many New Planet Candidates Identified by Citizen Scientists from Kepler Data, Including Several in the Habitable Zone”. Joey’s poster is a summary of the candidates from Ji’s paper and some new PH planet candidates he has been working on characterizing. My poster is on the first results from our TCE review highlighting that we have a list of all transit-shaped TCEs. Q: Is it correct that PH has achieved 5 peer review papers and how does that compare with the other Zooniverse projects? A: We’re on four, and a fifth (Wang et al) waiting some observations to deal with a technical point the referee raised. That puts Planet Hunters joint second amongst Zooniverse projects, but I reckon we have lots more papers to come as more people begin to use the data. Q: Can PH continue without Kepler? I know you go on to talk about this later, so in one word yes or no. Q: The team had been warned at the beginning, that people don’t look at graphs for fun!! PH groups were wanting to look at results. Does this make Planet Hunters any different to other Zooniverse project users? A: Now that’s a good question – we don’t really know, although we’re taking a look at how people behave. One thing the planet hunters are is dedicated; they stick at the task more than most other Zooniverse projects – probably because they really want to find a planet! Q: 1995 first planet discovered, by 2013 there is now believed to be 17 billion earth like planets in the Milky Way.Are these amazing figures correct? What other amazing leaps do you think will be made within a similar time frame? A: There’s an error-bar – and you can argue about what Earth-like means – but that sounds about right. With results from Kepler and elsewhere we really have learnt that planets are a very common feature of the Milky Way, and it’s possibel that more stars have planets than don’t. This makes exoplanet hunting one of the most exciting things happening anywhere in science right now, and I don’t think the pace is about to let up. As we find more planets, the focus will shift to trying to characterize those planets, maybe even detecting their atmospheres, and for that we need to look for planets around brighter stars than those that Kepler studies. Q: What is Earth-like eg. Rocky, good temp, and water making it habitable. How many rocky planets are there that are close to parent stars? Do you think looking at the facts and figures that it is common for habitable planets to be found in most/all solar systems? A: We don’t know yet. It’s likely that the dataset that Kepler left us has enough information to answer this question, and that’s why it’s important that Planet Hunters (and all the other groups looking for worlds of their own) keep sifting through the data. Q: How did planets form? What are disks around stars and how did they form? The point I was trying to make was that one of the things that our amazing stock of planets lets us do is just our understanding of quite how this process works. Q: Kepler stared at 160,000 stars. It seems to find lots of super earths (we had a joke about it sounding better than slightly bigger than earth planets) Neptune sizes are the most common, but we are getting more earth and super earths being discovered. How will we turn these candidates into confirmed planets? What needs to happen in the future? A: Most of them probably will never become confirmed planets. Doing follow-up on stars as faint as those in the Kepler field needs a large telescope, and we typically use the Keck which is one of the largest in the world. If we wanted to systematically confirm all the Kepler candidates we’d have to kick every other astronomer off the telescope, and even then it would take years. Luckily, we don’t have to do that – if all we’re interested in is the statistics of the planet population, we just need to observe enough to understand what the error rate is, and then we can do our science that way. If you know that 95% of your Earth-sized candidates are real, for many purposes (not including space travel) it actually doesn’t matter which ones they are. Q: There was a two star system found, the Keck telescope was used to check it really was a planet and not just a candidate and it turned out to be a four star system!! PH1 b Is that correct? Why did it need to Keck to see that it was a four star system, why could it not be seen in the light curves? A: We picked up the signal of the third and fourth stars by using Keck to make what are called radial velocity measurements, looking at the wobble of the stars back and forth as they orbit each other and the planet orbits them. We saw extra movements which we traced to the extra stars – I don’t think those two stars eclipse the others from our perspective in Earth and so they wouldn’t have been picked up by transits. Q: There is an instability region where planets can simply not exist but all the planets found live on the edge of this region. Does our planetary system exist on an edge of an instability region? A: This was actually a comment about planets around binary stars, like PH1. It’s intriguing to me at least that wherever we’ve found these worlds, we’ve found them almost as close to their parent stars as they can be without being on an unstable orbit. That must be telling us something about their formation. 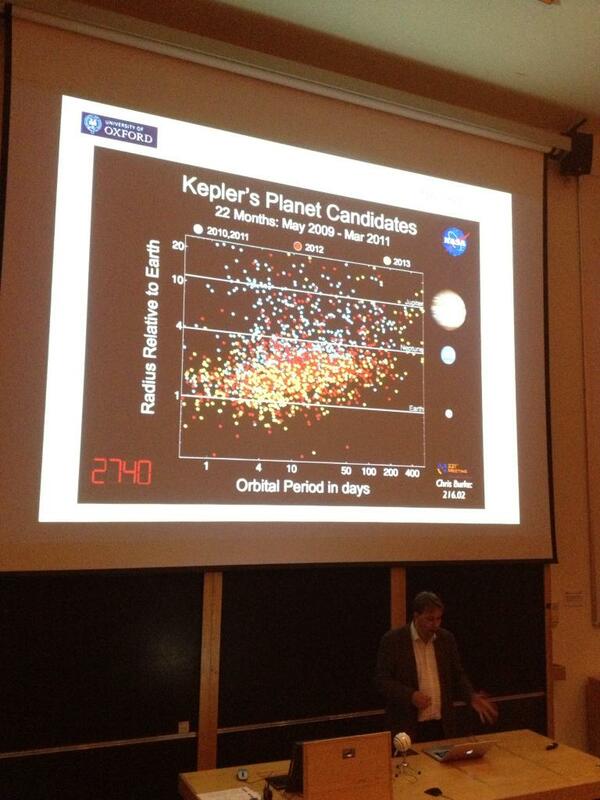 Q: 42 planet candidates missed by Kepler etc. found in habitable zone were found by Planet Hunters at the Zooniverse!!! Probably ~37 or so will turn out to be real. We are waiting for PH2B. Why did Kepler miss these candidates? A: Because it’s hard to get everything! 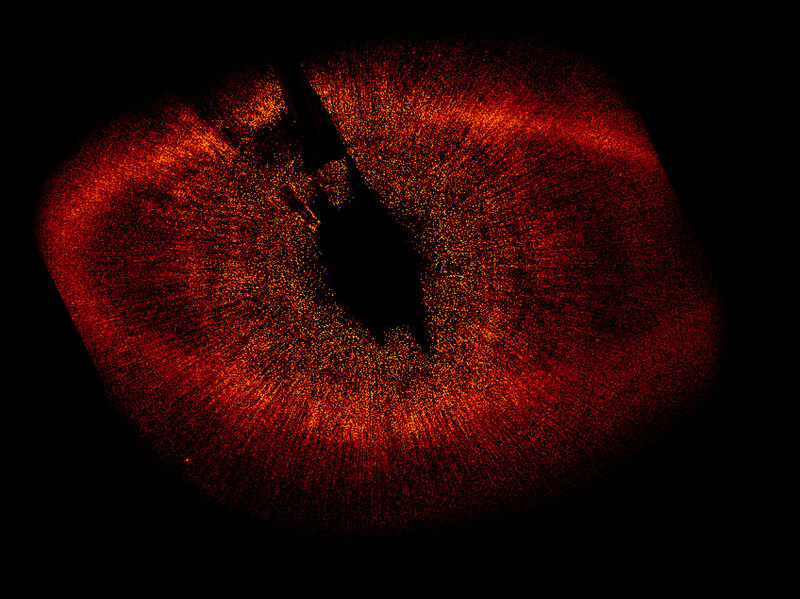 An automatic system doesn’t catch everything we do, although as with previous Planet Hunters discoveries I expect that the automatic routines will learn from their mistakes now we’ve pointed them out and get steadily better and finding these things. Q: And there was a brief discussion for future developments in the naming of planets.Do you think planets will eventually take more familiar names in the future as people become more aware of other planetary systems? A: A decision was made a few years ago not to give official names to exoplanets – and it’s not a decision I agree with. I also think it’s pretty clear that the system is broken (it seems weird to me I can call a planet Planet Hunters 1b or Kepler 22 but not Arcardia or Lintott or other such names). The International Astronomical Union, who make decisions about such things, look like they might be moving position so I’m hopeful that we’ll get to name planets properly one day. Q: Kepler is not well. What is wrong with Kepler? A: It’s having trouble pointing in the right direction due to problems with its reaction wheels – there are still a few things left to try, but it looks like its main mission is over. Q: It’s still looking for a planet with a one-year approx. orbit earth sized planet.Has a planet with a one-year approx. orbit not been discovered yet? A: Several – including lots of the Planet Hunters candidates. We’re still looking for the really small ones, though – and they’re probably hidden in the data. Q: PH site is still active and has data to look through I guess enough said!! What else is in the data? Stars they are all different to our sun. Why are there not more stars that are the same? A: It seems that stellar variability is important – as people will know from the Planet Hunters light curves, stars brighten and fade all the time, and Kepler has helped us understand how different each and every star is. There’s loads of work here just on stellar astrophysics alone. Q: Why are heartbeat binaries so interesting? A: They’re just unexpected and cool. But also the rapid changes in brightness might allow us to work out what’s going on inside the stars, just as geologists use seismograph data to model the inside of the Earth. Why is there a gap on the bottom right of this image?Why are PH collaborators so good at filling in the gap? A: Small planets are harder to find and it takes longer to transit if you’re further away from the star. This gap may be real, but first we need to work out what could be lurking there that we haven’t found yet. Q. 2 stars going round each other can causing tides, oscillations like in the heartbeat stars, and with asteroseismology we can study the interior of stars. Has the Zooniverse got any future projects planned to study this? Q: PHer’s have a lot more to do. The TCE review had a catalogue full of candidates. These are folded light curves, which I believe this survey is now complete!? A: Yep, and Meg’s working on the results! Q: Do we know how accurate the Kepler algorithm is? A: We can test it – Schwamb et al. was the first attempt to use Planet Hunters to see how they’re doing. The answer, it seems, is ‘pretty well, but not perfectly’. Q: The TESS telescope will look at brighter stars. Live data and take us beyond the end of the decade. Will working with TESS data appear the same as the light curves that we are already used to classifying? A: TESS will target brighter stars so we might see a lot more detail on the light curve, we haven’t really had a chance to think about it yet. Q: Are tools being built for all different Zooniverse projects? A: I’m sitting in the Adler in Chicago about to have a meeting about this – we can’t promise tools for all projects, but Planet Hunters will definitely be included. Advanced tools are currently being built and we should watch out for them at the end of September. We should thank people on the PH Talk site who have patiently spent their time trying to help others and explaining by writing’how to’ pages. The Zooniverse team wants to help all people use these types of tools and have easy access to them. Greetings from Research Triangle Park, North Carolina. For the next two weeks, I’ll be hanging out at the Statistical and Applied Mathematical Sciences Institute (SAMSI) for the Modern Statistical and Computational Methods for Analysis of Kepler Data mini-research program. SAMSI’s goal is “to forge a synthesis of the statistical sciences and the applied mathematical sciences with disciplinary science to confront the very hardest and most important data- and model-driven scientific challenges.” This particular 3 week program (I’m staying two weeks since I have to be in Hawaii for my observing run on June 28th), is to bring together astronomers, statisticians, and computer scientists to come up with new and interesting ways to tackle the questions and current challenges in the field of extrasolar planets with Kepler data. I’m giving one of the invited talks today presenting on applying a citizen science approach to the Kepler data set highlighting Planet Hunters science. After the two days of talks from invited speakers, on Wednesday we’ll break into mini-research groups. I’ve come with a subset of the Planet Hunters classification database (No usernames or emails are listed. The only identifying information for a volunteer is an identification number to link classifications) to hopefully learn and develop some new methods and algorithms to combine your classifications and better search for planet transits. 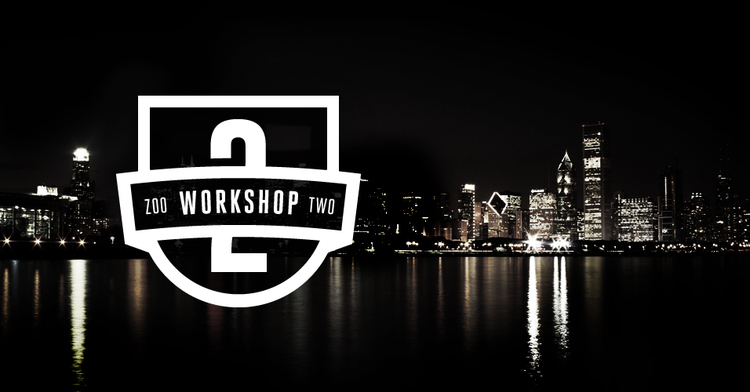 Today we have Part 2 of a two-part series from Katy Maloney who attended the 2nd Zooniverse Project Workshop hosted in Chicago at the Adler Planetarium (US Zooniverse HQ) earlier this week. Katy is a full time sociology student at University of Quebec in Montreal, with a certificate in religious studies. Her main research interests are STS, citizen science communities, man/nature relationships and ontologies. She’s also a part-time Planet Hunter(ess). The first day of the workshop was a happy surprise. As a social science student, I was beyond thrilled to finally catch a glimpse of this “data” gathered on Zooites, and as a Planet Hunter(ess), proud that our Zoo was doing so good and consistently appeared in the top tiers. Not only are we one of the most popular Zooniverse project, our zooites also spend more time per visit on the website. The second day of conferences started with Robert Simpson, web developer for Zooniverse and PI of Milky Way Project and involved in many others. I won’t go into every morning presentation in as much detail as with the first blog, since those morning talks will be available on video, and note taking was a bit harder on the second day…! (It was “lighting optional” in the Johnson Star Theater that morning, plus I have to admit there might’ve been some slacking involved.. I consulted with Jules, and she too decided to just sit back and enjoy that one!) Basically, Robert presented the lifecycle of a Zooniverse project, from A to Z(oo), somewhat debunking the scientific method (or more like deconstructing it) along the way! More volunteer metrics and stats were thrown in (see Jules’ blog for a Hertzsprung–Russell diagram of the Zooniverse). Rob’s talk was followed by four case studies: Galaxy Zoo 2, Old Weather, The Andromeda Project and Snapshot Serengeti. Along the way, we’ve learned: from Kyle Willet about the Galaxy Zoo 2 catalog and interface, as well as some user classification quirks and what they learned from them; from Philip Brohan about the history of the Old Weather project, which deals in historical weather data extracted from old ship logs; about the amazingly quick processing of The Andromeda Project by volunteers in just a few weeks (and Cliff Johnson’s Christmastime gift of data reduction, achieved just as quickly and leading to a presentation in January at the American Astronomical Society Meeting: the project was launched in December! ); and last but not least, Margaret Kosmala came to show us what Snapshot Serengeti was all about, demonstrating once and for all the sheer attractive power of cute animal pictures on the internet! Two of those projects (Snapshot and Andromeda) were so popular that they’re actually all out of data for now! I don’t see this happening to PH anytime soon, seeing how many quarters we skipped in order to stay up to date with the latest releases! Snapshot Serengeti will be getting new data shortly (warning: it’s addictive! ), as of the workshop they’d received the latest hard drives from Tanzania. In the meantime, you can still go on a pointless safari: the data is still available, for people’s “ohhh”s and “ahhh”s only. Next up was David Miller, who used to design for the Zooniverse and now holds a position as the Adler’s Visual Designer. His talk was mainly focused on how important good design is – both for the science and for the volunteer’s enjoyment, citing Apple as an obvious choice for people with a good design aesthetic (that shameless propaganda really hurt my Android’s feelings for a second there… :P). Laura Whyte then gave a quick pep talk about the educational vocation of the Zooniverse, and about her experience on ZooTeach. She talked about their experience with school children and teachers, as they went into schools with Galaxy Zoo and Seafloor Explorer. They’re also working on the Planet Hunters for ZooTeach, which I’m really excited about! I attended an un-conference session on this topic later, so I’ll skip right ahead to lunchtime, when I had the opportunity to attend a Zooniverse Advisory Board Meeting, along with Janet and Jules. 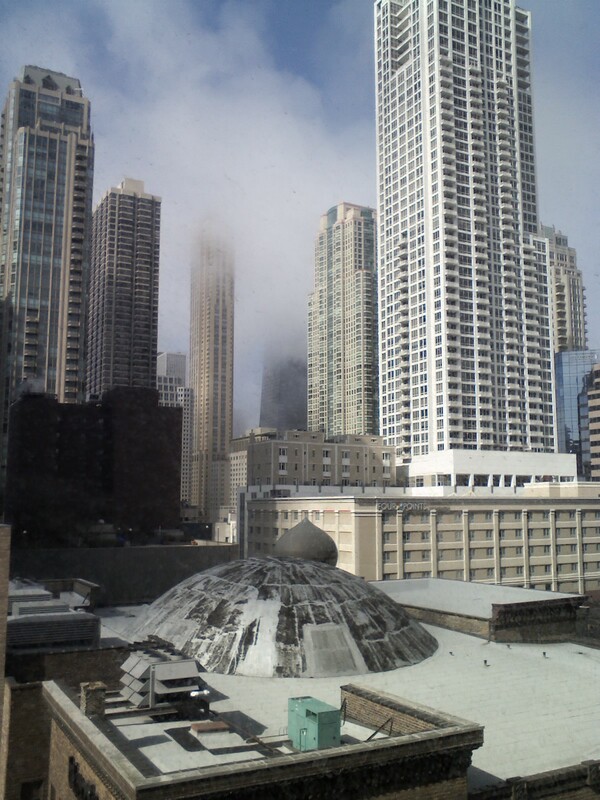 (After geting completely lost inside the Planetarium…!) Remember when I said in my last blog that you guys were the stars of this workshop?! Well this was the consecration, if you will: zooites, you are the top priority in 2013. Communities in the Zoos are being probed (in a totally non-invasive way, trust: no Zooites were harmed during the probing of those communities!) and as I also mentioned in previous posts, various research groups are assessing what it means to do citizen science, from the citizen’s perspective, and from statistics and survey results. We all know what the science teams get out of a Zoo project, but what motivates volunteers to spend their free time volunteering on a science project?! What makes a successful community/project? We’ve learned that perhaps the average zooite was already somewhat of a science nerd to begin with, so are we really contributing to science literacy, or are we preaching to the already converted? Truth is, although our friend David Smith, the Average Zooite, is a white male in a technical job, there is a wide variety of reasons why one chooses citizen science as a hobby. I started a thread a while ago on Talk, asking people what their motivation was for hunting planets: while the overwhelming majority said their motivation was… hunting/discovering planets (who could’ve seen that one coming, eh! ), others came up with creative and surprising reasons to explain their scientific pastimes: apparently, it looks good to say you’re a citizen scientist in your free time on your resume or in a job interview (take notes, zooites! I know I did.). Another user, who had a disability in the real world, turned his “illness” into an ability on the Zooniverse. I’m bringing this up because in a way, we can come to a very simple conclusion based on this: zooites all have different abilities, different reasons that motivates them, different backgrounds and different perspectives, and this richness transfers to the communities that organically assemble within the Zooniverse. And in order to grow the best environment for those serendipitous finds to happen, we have to make sure to foster curiosity within the communities, and then just keep the communication channels open: in case…. The lunch meeting lasted a bit longer than the lunchtime we had planned, so we all sorta rushed to the next un-conferences. Jules and Janet went to a session on machine-learning (or algorithm-training), and I headed for a session on communication and translating the Zooniverse. The first half, which I missed half of, was about setting up a communication tool for different Zooniverse teams to communicate amongst themselves, cross-projects: it was pretty straight forward and by the time that part was over, a type of mailing list was created for them already, live on the spot. The second half was what drew me in: being a native french speaker, I thought it would be great to have classification interfaces and instructions in other languages than English. Living in a french-speaking province, where teaching is done in french, and most public services (like say, the planetarium!) are required at least bilingual, I thought it was a shame that only anglo kids could benefit from a Planet Hunters education! A blog has since been posted to describe the steps to translate an interface, so with reserves, I might’ve found a cool side project! I would be more than thrilled to know that the local schools, planetarium and cosmodome could all have access to quality citizen science projects as well! This ties in perfectly with the last un-conference I attended: the aptly named “education is awesome!” session! Education was deemed so awesome, in fact, that we were entrusted with a street-level board room with exterior view, bathing in them photons for a discussion before diving back into the depths of the Adler for the conclusion! I had the honor to recap the discussion that we had, which in short, was about finding practical ways to create outreach opportunities adapted to different age groups and settings. We felt that college students were perhaps less of a focus, since they were already in that science-attentive category for the most part, or in formal science training. Lunch conferences on citizen science projects were evoked, but not discussed a whole lot. Summer camps and day camps, however, often need rainy day activities, so why not get kids into a citizen science project!? We even discussed a possible collaboration with the Scouts to have a Citizen Science badge. The possibility of charging a small fee to send ready-made “citizen science kits” was also discussed briefly, to accommodate busy teachers or those who don’t have access to sufficient technological resources (laminating machines, big prints). Having a Talk forum for ZooTeach was brought forward, so that teachers could communicate and exchange tips and tricks (while of course providing feedback!). Teenagers are a special breed, and don’t necessarily react to “science” the way children do: perhaps insisting more on the “sub-culture” aspect of citizen science would be enough to get their attention and slip into science without hurt. Finally, two lovely ladies from the California Institute of Science talked about an project in the building, called the National Citizen Science Association, which seem very enthusiastic about Zooniverse projects and would be a potential great ally for outreach. So what else for Planet Hunters? There’s a version 2.0 in the works (That’s all I know about it anyways, not much of a scoop…!) I strongly suggest you watch the videos from the conferences as soon as they’re online, most of the general Zooniverse talks had Planet Hunters stats and facts. You may also get to witness the precise moment that kianjin stopped classifying to dedicate all his time on Talk (no really, the very moment, clean cut, no looking back)! You may also get to see an epic Street Fighter-style classification battle between Chris Lintott and Arfon Smith: it was ridiculously long for no apparent reason, which made it even funnier, in my sense! These two days spent at the workshop were a great learning experience, and a chance to meet many passionate people. It’s really cool that it was filmed, so that way all zooites can attend, as I know many were disappointed about the closed nature of the event. All in all it was a really great few days, and I’m looking forward to seeing what science and new projects come out of the Zooniverse in the future. 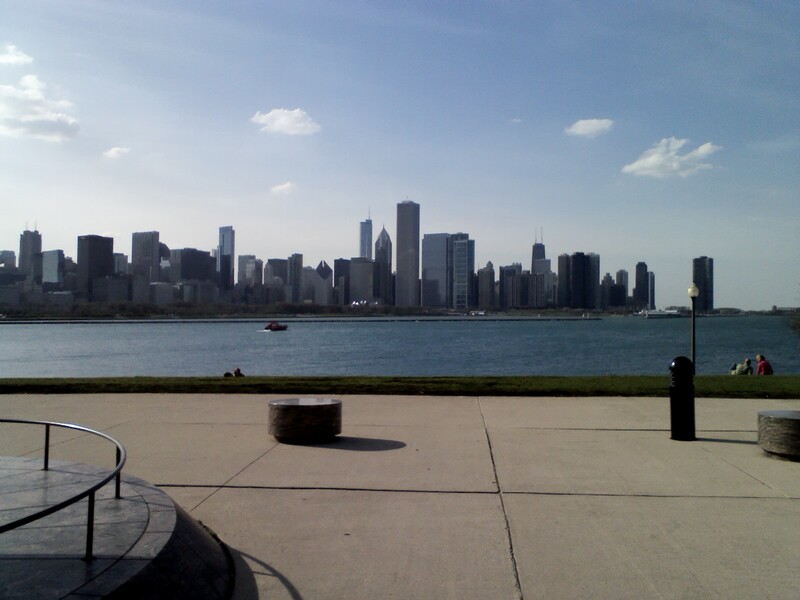 Today we have a guest post from Katy Maloney who attended the 2nd Zooniverse Project Workshop hosted in Chicago at the Adler Planetarium (US Zooniverse HQ) earlier this week. Katy is a full time sociology student at University of Quebec in Montreal, with a certificate in religious studies. Her main research interests are STS, citizen science communities, man/nature relationships and ontologies. She’s also a part-time Planet Hunter(ess). When I was invited to the Zooniverse workshop, I initially thought I would be kind of like a fish out of citizen waters: I was basically expecting a tech-fest, and a few scientists looking at me like the odd one out, an undergrad student in a sea of professors. Well I was right about being pretty much the only undergrad, and that’s about it! As previously mentioned in the Planet Hunters forum thread, the main focus of this workshop was community. That means you guys. Or us guys. First of all I felt very welcome, grabbing dinner with Jules the night before and then a few beers with Chris Lintott, Lucy Fortson and a few other zooniverse peeps. It was great to have Jules as a guide of sorts, introducing my somewhat shy self to people she recognized in the dark meeting room in the basement of the Adler Planetarium. It was so dark in there, in fact, that I mistakenly traded my usual morning coffee for a decaf without even realizing it! Lucky for us all, the auditorium was better lit, and everyone introduced themselves prior to the day’s events, so that took care of the “room full of strangers” issue! And as the first few morning conferences went by, I was more and more convinced I was not only welcome, but I was exactly where I should be and would find opportunities to participate in the sessions later. A first welcome speech by the Adler’s new leading lady, Michelle B. Larson, who is a trained astrophysicist with a passion for science education and public outreach. The Adler’s support of citizen science will no doubt continue to flourish under her leadership. Then Chris Lintott, PI and omnipotent leader of the Zooniverse, gave a talk about the history and evolution of the Zoo for us all to enjoy. What was originally a couple of loosely coupled projects turned into double the projects fairly quickly: if it were a reality TV show, it would probably be named “14 Zoos and counting”, as new projects are already underway and even as we speak, there are enough proposals from the science community to double the projects we currently have! As of now, we have over 800,000 volunteers signed up to analyze and classify various scientific data. As every other project goes live, other pre-existing projects also benefit from the growing “fanbase” of the Zooniverse. People come online to these projects to do authentic science, and emphasis needs to be put on the word authentic. The Zooniverse provides an environment where scientists can focus on the science, all of the engineering, designing and promoting platforms already made available for them to push forward their science objectives and present them to the citizen science world. 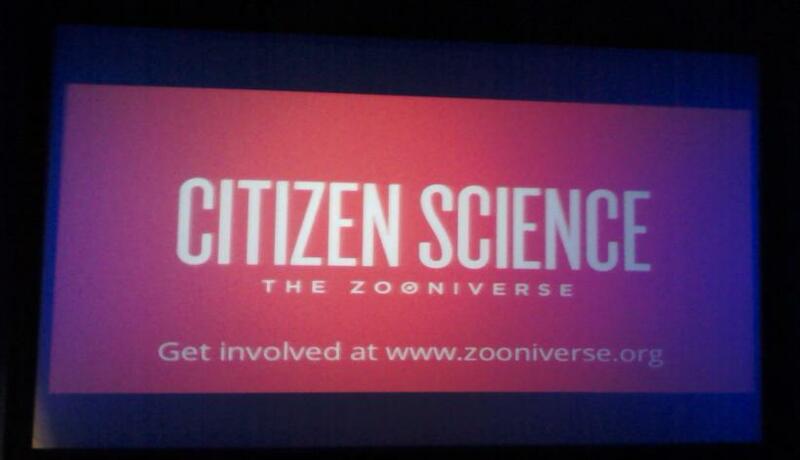 Projects are viewed as a learning experience for citizen scientists, but also for citizen science: that’s why each project is different, new, and Arfon Smith, director of citizen science at the Zooniverse, will elaborate on that later in his talk. The “one visit rule” was probably derived from knowledge of what did and didn’t work in previous projects: people need to be able to start doing science on the first day, after minimal training time. This was stressed many times by Meg on the forums, and is later explained further in Karen Carney’s talk with statistics gathered from Zooniverse projects: a great amount of users are one-timers, and if we are to benefit from their visits, we need to have this affair leveled to their needs. All in all, complex doesn’t have to mean complicated, and importance was being focused on feedback: what is the “bacon”, the motivation that keeps the machine running? Is the correlation between citizen science and science literacy one of cause and effect, or were zooites simply already scientifically inclined? How can we foster serendipitous discoveries, or in the very least, provide the right kind of communication channels so that we intercept them as they happen? Simulated data, ZooTools, beta testing, communication and promotion tools, all of that good stuff was on the table to discuss later in the un-conference sessions. Arfon was the second Zooniverse leader to take the stage and present a morning talk, titled “Capabilities of the Zooniverse: What we can do and what we’ll be able to do”. In 4 bullet points, he described the efficiency method developped by Zooniverse over the years: 1) Domain model, 2) Technologies/Tools, 3) Data in/out and 4) Intelligent systems. Seems a bit out there and unclear to the layman, so let me elaborate a bit. The first point has to do with a vocabulary the developers, science teams and other people involved in the Zooniverse have in common. There are subjects (things that people analyze ), tasks (things that people do through the classification interface), and users (volunteers, people). The second point has to do with a certain open source ethos: picking hard and different projects, testing the limits of what we can compute in a simple and sleek interface, the scale at which we can expand (in terms of traffic and support of huge inflow of data on the servers), in accordance to a strong science commitment (producing the best science we “citizenly” can). He had some info thrown in there on the subject allocator/classification API, that I will let the upcoming videos explain, as I’m not too sure my explanation would be any more enlightening, this is a bit over my head in terms of computing knowledge. It has to do with a core application called Ouroboros.. The third point is a bit fuzzy in my memory, but was about actual physical data I believe, pictures were thrown in of people with boxes and boxes of hard-drives (one of the many joys of metadata analysis I guess!). Data reduction was also included into this, while the fourth point, intelligent systems, described how data gathered on user behavior could inform and allow for fine tuning, eventually leading to a strength-oriented classification which would act as a potential negation of the equalization effect of the interface, which is tuned to accommodate first time users and “metausers” alike. They also identified 3 “whys”, 3 bacon strips, 3 main reasons that zooites express as their motivation for joining a zooniverse project: social engagement, content engagement, and scientific engagement. Remember when we were asking if committed users were “converted” to a scientific interest, or if they just happened to be interested already? Well the demographics are consistent with science-attentives, meaning people who were already interested in science, be it through reading science mags, science news online or through a job that was technical and already sorta science-related. This relates to an issue that was brought forward: the confidence barrier. People have to believe they CAN do science. In fact, most people who think they’re doing terrible are doing fine, and some people can inversely get pretty cocky and think they got it down, while being completely off-track (although luckily perhaps, they are seemingly in lesser proportion). It’s the team’s prerogative to make sure that while more science-attentive people feel like they’re doing legit, real, authentic science, people who have no prior science background also feel like this is not above their heads. So the data presented was essentially quantitative (statistics, numbers based on surveys), but qualitative research (the “whys”) is also being conducted, by the Adler team, including Mr. Ryan Cook, which is a socio-psychologist (or should we say psycho-sociologist?! Sounds a lot funnier.. hehe) working on citizen science learning, and by another team based at Syracuse University, working on zooite motivation (again with the bacon!). So what IS an un-conference exactly? A colleague of mine in sociology was joking around a few weeks ago telling me how un-conferences were essentially conferences where everyone could talk over each other and argue to no point, a sure-perfect way of wasting time, rubbing shoulders and shaking hands at high cost. While I agree that in some contexts it might be so, I found that in the context of this event, a citizen science assembly with many different people from different projects getting together to discuss things they have in common, it was more like a workshop/discussion group exercise, allowing for diversification and exchange on perhaps more circumscribed subject matter. People proposed subjects to discuss, over lunch, and then voted on their favorites in subjects submitted. The most popular subjects each got a session in one of the two afternoon time slots, which could each accommodate three to four different matter subjects. I mentioned that I met up with Jules, moderator for a few Zooniverse projects including Moon Zoo, for dinner on Sunday night. We discussed an un-conference session there, that she aptly titled “How to keep 800,000 research assistants happy”. Why research assistants rather than volunteers, user or zooites, you might wonder? It stemmed from a scientists working on a zooniverse project who once told her, after seeing his project go live, how great it was to suddenly have 10,000 research assistants working on his data. I thought it was also bridging the gap between the science teams and the volunteer base, in an effort to push forward a collaborative mindset. In this session, we discussed this “bacon” that Chris was talking about, from a volunteer’s point of view, and issues that were brought up in the discussion boards prior to the event. 1) Don’t Waste People’s Time. Make a good case for the science. Make it bug-free or get quick fixes. Educate the volunteers. 2) Volunteers are Collaborators. Include volunteers on beta tests and development. Be honest about what is happening, and share data and results. Communicate, encourage and give recognition when it it due. 3) Only present tasks machines cannot perform. If data the data collected allows a good machine algorithm to be written, inform the members of their success before closing the project down as “finished”. We’re not difficult, basically: what zooites really want is to feel that their work is worth something. After all the hours spent classifying, they want to be sure that their time isn’t wasted, and that they aren’t subordinates to a despotic science team, ready to shut the shop down unceremoniously as soon as they have their results. The experience of the Supernovae project was put forward, even though we know its quick demise was due to our effectiveness (yay?!) and to an exterior person going “hey, your data allowed us to build an algorithm that’s doing just as good as you are, so thanks, I think we’re done here!”. That machine-learning aspect was discussed in another un-conference session, which Jules and Janet both attended and will probably provide more details for in their respective blogs/forum posts. While “metausers” are only but a small fraction of all zooites, they represent the core of each project, they’re the “expert citizens” that can better help keeping the community happy and informed. Furthermore, according to Jules’ numbers, which were agreed upon by zooniverse peeps present, 10% of the users do 90% of the work. Should I take my proverbial “We are the 2%” sign back out of retirement?! Yes and no. The general conclusion I’d like to draw on is that the Zooniverse is well aware of and interested in you metausers and other sustained users. Even if the interface is technically made for the casual visitor, you are not forgotten, and fun things are in the making (like ZooTools, mentioned on the forums). I attended a session on the new Talk interface (which you can browse on the Planet Four site, as well as all newer Zoo projects), and all that attended were really excited about this version. Talks of a “Talk Tutorial” were had, to allow people who (like me, ahem…) aren’t necessarily familiar with hashtags and ways to optimize your use of Talk. Good news is, Talk 2.0 will be coming to Planet Hunters, sooner than later! And we can expect annoying bugs (like the image resizing and “sticky posts” issues) to be resolved also in a timely manner! I realize that this blog is getting quite long (I did warn Meg that I was a blogging machine.. haha! ), so I’ll let you guys go read Janet’s resumés of the other un-conference sessions of the day over on the Old Weather forum (a copy is also in the Zooniverse Workshop thread in the PH Talk Chat section), and will write another blog for Day 2 of the 2013 Zooniverse workshop. It will broadly describe my experience as a zooite at the conference, as well as summaries of the second day morning lectures, including several case studies, followed by an account of a Zooniverse advisory board meeting, which I attended with Janet and Jules over lunch. I then rushed over to an un-conference session on Translating Zooniverse Projects (being a frenchie, this just spoke to me), thus missing a session hosted by Ryan Cook on measuring science literacy, which I would’ve otherwise loved to attend, and then to a second un-conference about education and its inherent awesomeness (sic! ), which I got to summarize (nervously) for attendees at the end of the afternoon.